THQ Nordic has released de Blob, a 3D platformer where ‘color is a crime’ on Nintendo Switch. The game can now be purchased at retail and Nintendo eShop for EUR/USD 29.99.
de Blob hops on to Nintendo Switch today! The evil I.N.K.T. Corporation has declared ‘Color is a Crime!’ and leeched Chroma City of all its beauty and interest. 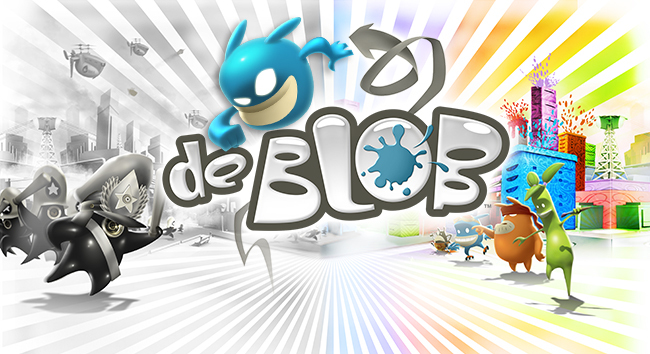 The race to rescue Chroma City has just begun, and only de Blob can save the world from a black-and-white future with his unique abilities to color the world back to life. de Blob features both a deep story-driven singleplayer mode where players get to dig into the Raydian’s struggle against all-powerful I.N.K.T. Corporation, as well as a diverse range of multiplayer options. These multiplayer campaigns support up to four players, come with street and sewer maps and include 1-4 player split-screen functionality.